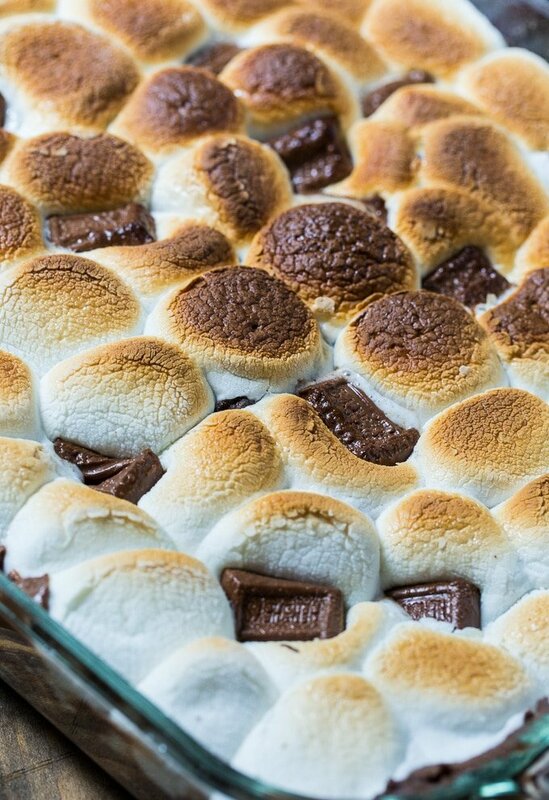 S’mores Cobbler makes a fantastic summer dessert. 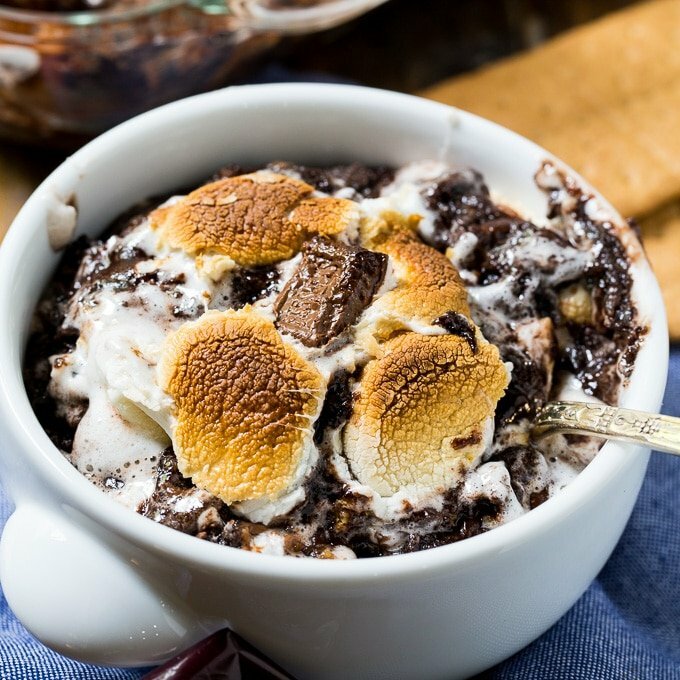 It’s gooey and rich with lots of graham crackers, Hershey bar pieces, and marshmallows and it couldn’t be easier to make. S’mores cobbler is very similar to Chocolate Cobbler, but with graham crackers and marshmallows added it really tastes like summer. A layer of chocolate pudding goes on the bottom and it is covered with a layer of graham crackers and Hershey chocolate. A box of dry cake mix gets sprinkled on top. It is topped off with pats of butter and then popped in the oven. As the pats of butter melt, they turn the dry cake mix into a batter. The graham crackers get soft and baked into the cobbler. Once baked, the cobbler gets covered with marshmallows and more chocolate and then broiled until the marshmallows turn nice and gooey. If anything could be better than roasting s’mores on a campfire, then this is it!! 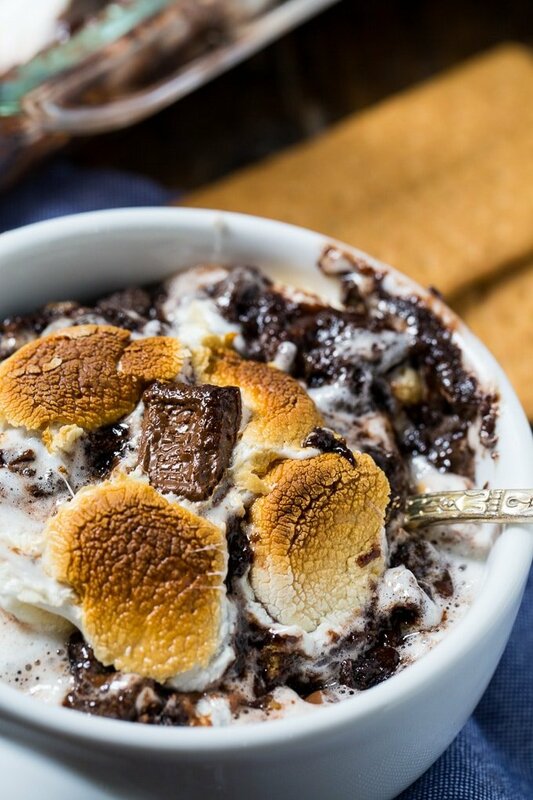 S'mores Cobbler makes a fantastic summer dessert. 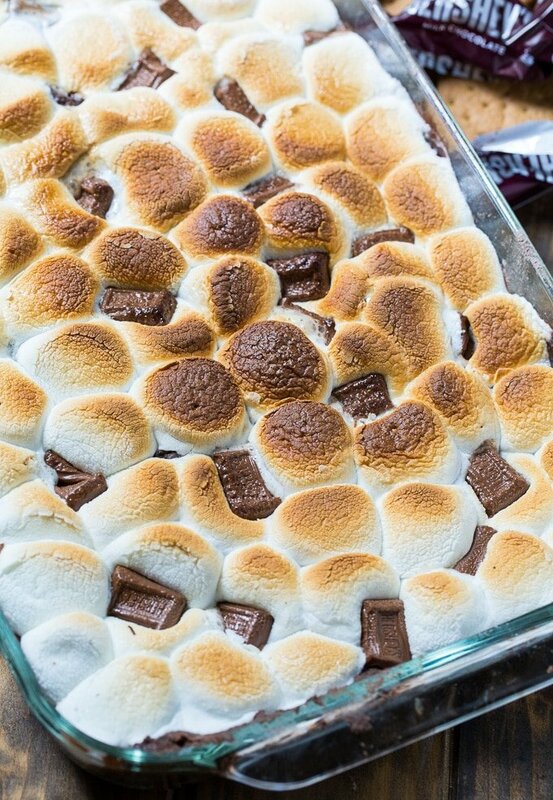 It's gooey and rich with lots of graham crackers, Hershey bar pieces, and marshmallows and it couldn't be easier to make. Preheat oven to 350 degrees and lightly grease a 9x13-inch pan. In a large bowl, whisk pudding mix and milk until mixture thickens, about 3 minutes. Pour into prepared pan. Layer graham crackers on top of pudding. 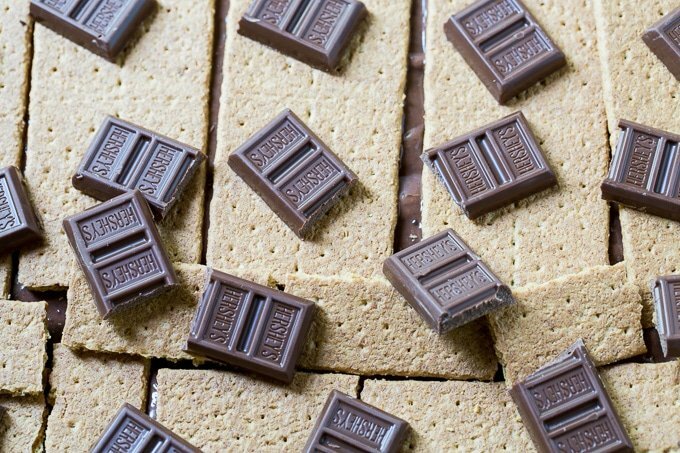 Scatter a little over half of the Hershey pieces on top of the graham crackers. 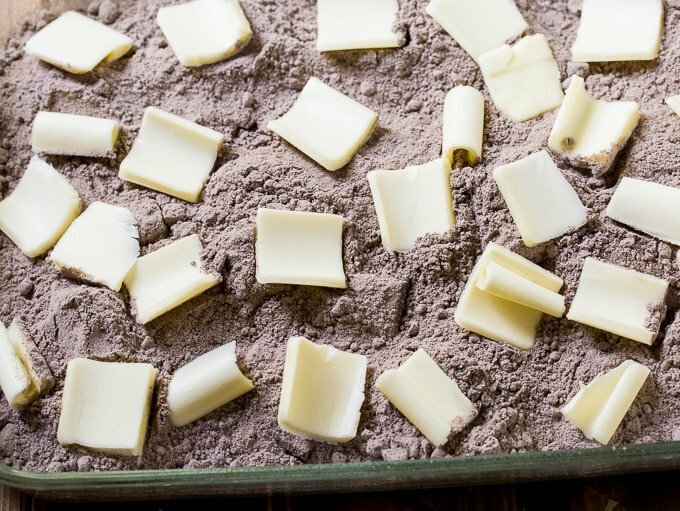 Sprinkle the dry cake mix evenly over the chocolate and graham crackers. Scatter the butter slices over the cake mix. Take a spoon or spatula and mix any dry cake mix in. You will break up the graham cracker pieces and that is ok.
Layer the marshmallows on top and scatter the remaining chocolate between the marshmallows. Place under the broiler until the marshmallows are toasted and browned. Serve warm. 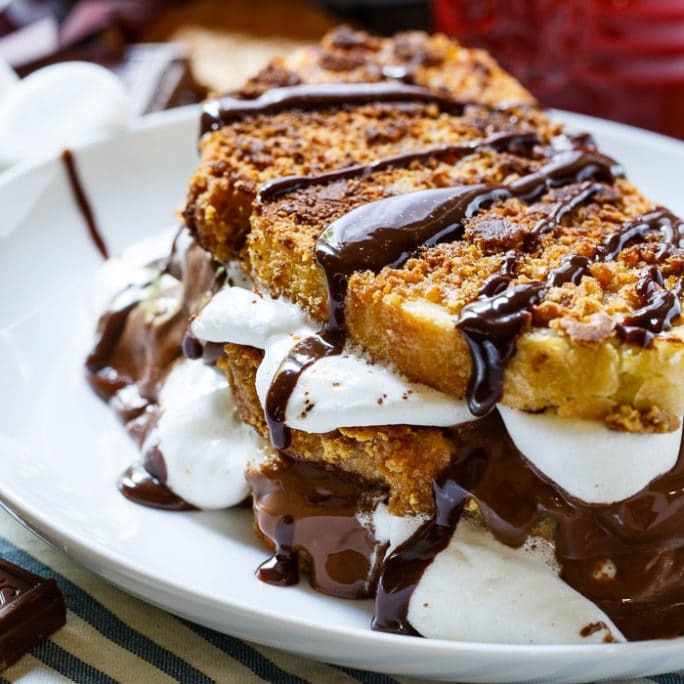 This entry was posted in Desserts and tagged chocolate, s'mores. Bookmark the permalink. We loved. It! So rich and good!